Overview Lake Clark National Park and Preserve was created to protect the stunning volcanoes, populations of fish and wildlife, glaciers, rivers, waterfalls, and watersheds the salmon and other wildlife need to survive and thrive. Lake Clark's spectacular scenery provides both a permanent home to indigenous peoples and a great wilderness experience for tourists. Picture of Mount Iliamna in Kenai Fjord National Park and Preserve. Alaska's volcanic belt is part of the Pacific's "Ring of Fire". There are at least 70 volcanoes that could go hot at any moment though they are monitored somewhat so traveling here would involve planning for other situations rather than this. Outdoor Activities: Rafting Rivers in the Lake Clark area is a great way to experience wilderness, and there are numerous float trip possibilities. Looking for miles of continuous whitewater? Not likely to be found here. Most rivers in the park are swiftly paced waters requiring oarmanship with occasional whitewater segments. Safety is a top priority. Alaskan waters are extremely cold, even when air temperatures are warm. The state has the highest rate of recreational boating fatalities in the nation. ALWAYS wear a Personal Flotation Device (PFD). More information on staying safe in Alaskan waters is available from the State of Alaska Office of Boating Safety. Picture shows kayaker on Crescent Lake which is on the southeast side of the Kenai Fjord National Park. 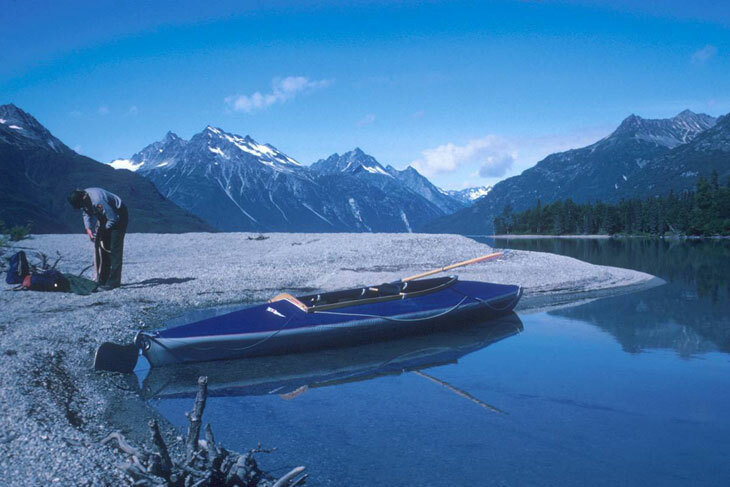 Canoeing or kayaking through Lake Clark is a rewarding experience. There are many lakes and rivers to explore. Most access to the park is by plane and a smaller plane cannot haul you, your gear, and your kayak. Mulchatna National Wild River Beginning in Turquoise Lake at the base of Telaquana Mountain, the Mulchatna flows through the rolling Bonanza Hills in a challenging, shallow, rocky channel, more suitable for small rafts and kayaks than canoes. Expect a stretch of fast WW II-III above Bonanza Creek; a portage is possible. West of the Bonanza Hills the valley broadens; here the river trip is a gentle float through forests of spruce, birch and aspen. Farther downstream after picking up the waters of the Chilikadrotna River, the floodplain widens to wetlands and joins the lowlands of the Nushagak River. Chilikadrotna National Wild River Flowing down the west side of the Alaska Range out of Twin Lakes, through gentle upland forests of spruce, birch, and aspen, the Chilikadrotna is a swift, twisting, narrow river, most suitable for rafts or kayaks; canoeists attempting it should be very experienced. Limited whitewater opportunities: sweepers and strainers are the biggest hazard. Good fishing and a fast pace are pluses for this river. Picture shows the popular Telaquana Trail. It is an historic transportation Dena'ina Athabascan route from Telaquana Lake to Kijik Village on Lake Clark. The trail is designated as an historic district and cultural landscape. Sport-fishing Good lake fishing can be found at Two Lakes, Twin Lakes, Telaquana Lake, and Turquoise Lake. Lake Clark itself is fished for grayling, lake trout, Dolly Varden, northern pike, and red salmon. Other lakes that provide opportunities for recreational fishing include Kontrashibuna, Crescent, Portage, Lachbuna, Kijik, Fishtrap, and Tazimina Lakes, in addition to many smaller lakes. Two of the three wild and scenic rivers, the Mulchatna and the Chilikadrotna, provide exceptional rafting experiences and the opportunity to fish for red and king salmon, grayling, Dolly Varden, and rainbow trout. 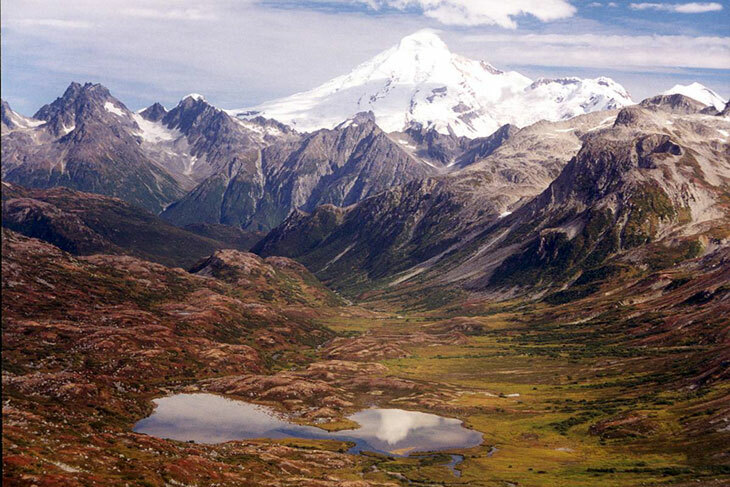 The Tlikakila River, although an excellent float trip, is too glacial to support a sizeable population of game fish. The lower Chulitna River, with its non-glacial waters flowing through tundra and marshes in the southern preserve, has northern pike. Other rivers which will provide good fishing opportunities in and around the park include the Tanalian, Kijik, Tazimina, Necons, Stony, and Telaquana Rivers and Currant Creek. 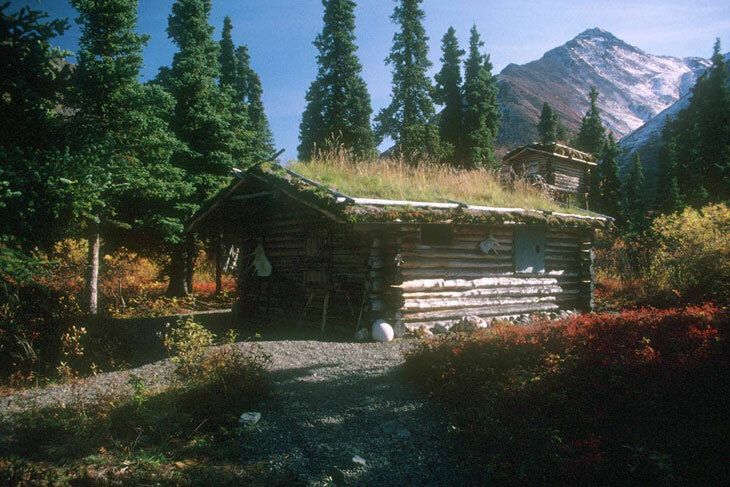 Picture shows Proenneke's Cabin in Lake Clark. The cabin is managed like an outdoor museum. It can not be used as a public overnight stay. The cabin stands out for its remarkable craftsmanship. It was built using only hand tools, many of which Proenneke himself had fashioned. Throughout the thirty years he lived at the cabin, Proenneke created homemade furniture and pieces that reflect his woodworking genius. Vanabode Special Notes: Alaska is extraordinary and Vanaboding is fun but I cannot recommend this destination. It is just not a good match because of the rugged and wild remote nature. The inclement weather can be devastating. 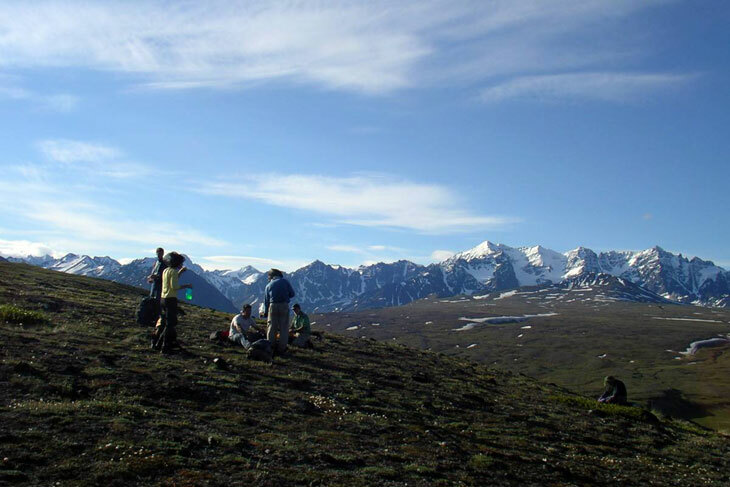 If you do go be prepared for Alaska's extreme temperature, storms and insects in Lake Clark National Park & Preserve Alaska.